Follow this guide to access the System Settings. Press the Manage Chest Belt ID > Set ID button. 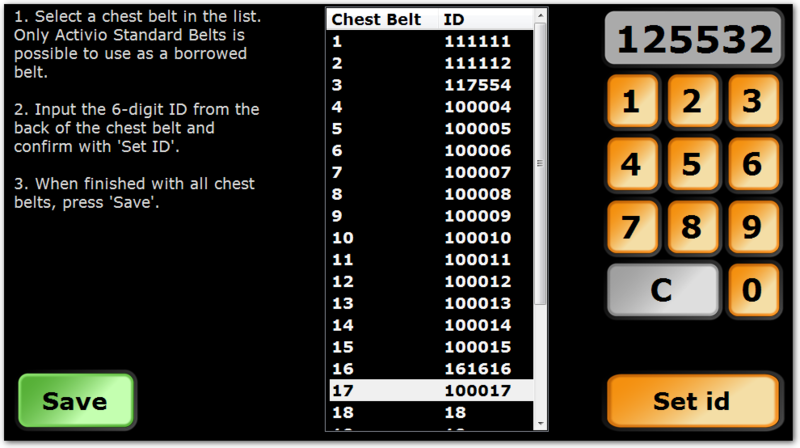 Follow the instructions on the chest belt ID page to add or edit a chest belt ID for the users to borrow. NOTE! It's only allowed and possible to use the Activio Standard Belt (model: CS5) as a borrowed belt.